Since its founding in Chicago (USA) more than 100 years ago, ITW has become one of the world’s leading diversified manufacturers of specialized industrial equipment, consumables and related service businesses. ITW business serve local customers and markets around the globe. The company has operations in 56 countries that employ more than 50.000 people who ad here to the highest ethical standards. ITW has 85 businesses divided into 7 Segments, which includes: Welding, Automotive OEM, Food Equipment Group, Construction Products, Polymers & Fluids, Test and Measurement & Electronics and Specialty. As the Process Sales Area Manager for France you will be responsible for developing our market share on existing/new customers by focusing on the selected existing accounts and targeting and developing new Pharma customers. This role requires someone who works well with broad supervision, with being capable to advance problem-solving and project management with peers. Pharma market prospection. Qualification of potential new Pharma customers. Develop product penetration of our existing portfolio of excipients. Prepare proposals to customers: Offers, Samples, technical documentation, supply agreements, quality agreements…. Provide clear understanding of sales trend and project opportunities pipeline in France. Analysis of sales performance, providing clear visibility of sales forecast. 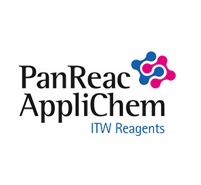 The ITW Reagents Division has been established by the companies Panreac Química SLU (Spain), AppliChem GmbH (Germany) and Nova Chimica (Italy) with the aim of bringing together the experience and know-how of three seasoned companies. The Division offers the most innovative and best quality products for chemical, biological, pharmaceutical and medical research and production applications. Nowadays ITW Reagents markets its products worldwide through an extensive distribution network in more than 80 countries under the brandPanReacAppliChem.